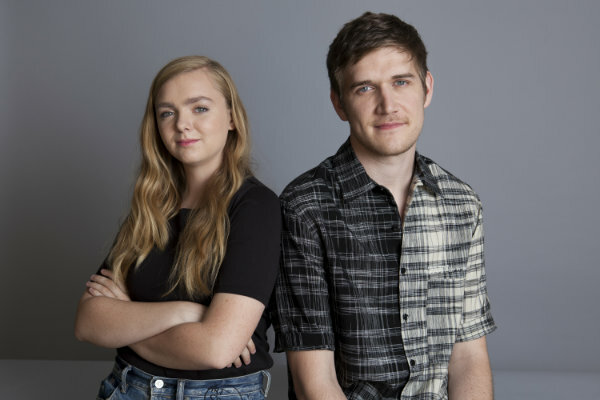 Bo Burnham's Directing Debut Delves Into Awkwardness of "Eighth Grade"
An awkward middle school girl might be the last subject one would expect a 27-year-old male comedian to spotlight in his directorial debut, "Eighth Grade," but Bo Burnham has never exactly followed a script. Burnham made a name for himself as a teenage YouTube star, which turned into a record deal, Comedy Central specials, a television show on MTV and, eventually, a 2016 Netflix stand-up comedy special, "Make Happy." "I'd watch the videos of the boys and they'd be like, 'I'm going to talk about my sword collection' and the girls would be like, 'I don't know if I'm real or not,'" Burnham said. "I just related to the girls way more. Girls just have access to deeper questions sooner." He thought, "If this were a performance, it'd be amazing." And that was the genesis of Kayla, the painfully shy character at the center of "Eighth Grade," in select theaters Friday, who exerts worldliness and confidence online in YouTube videos, only to recede back to wallflower status among her peers. It's a movie that would hinge on its lead and Burnham found his muse in Elsie Fisher, then a 13-year-old working actress from Riverside, California. She voiced the role of Agnes in "Despicable Me" and its sequel and had several bit roles in television shows, movies and commercials through the years but had recently lost the taste for the whole acting and auditioning process. "It's just hard to get roles for teens, especially ones that feel authentic," said Fisher, 15. "They don't make teenagers very deep and when they try to it feels so fake." When she saw Burnham's name on a casting call notice, having recently become a fan, she decided to give it a shot. "Every other kid felt like a confident kid pretending to be shy. (Elsie) felt like a shy kid pretending to be confident," he said. "That's the whole magic of it." Fisher also looks like an actual teen, acne and all, and not the glossy, Hollywood-ready 20-somethings who we've become accustomed to seeing populate the halls of fictional middle and high schools. She was 14 during production and just out of 8th grade. "I'm very happy with the push for diversity in these spaces but I have yet to see any aesthetic diversity. It's all beautiful-looking 17-year-olds where everything is flawless across the board and that's not a dig on anyone, it's just, like, not human, it looks fake, it's ridiculous," Burnham said. "And the story of being young is failure. You don't know how to talk or dress or act or be or anything. That should be represented. It shouldn't all be aspirational." The film is also rated R ("8th graders' lives ARE rated R," said Burnham), with sexual references and one particularly sensitive scene involving an older boy that made Fisher's dad yell an expletive when he read the script. But he asked his daughter if she was comfortable with it and she said yes. And both Burnham and Fisher are quick to remind that though it might seem traumatic and upsetting on screen, on set it was a different story — safe, comfortable, and just a movie. Besides Kayla's interactions with her peers, one of the central relationships is with her father, played by Josh Hamilton. When he's not being ignored for a smart phone, he's either a punching bag or a source of embarrassment for his too-cool daughter. "I hope it gives kids an insight on parents and parents an insight on kids," Burnham said. "It'll be a little awkward watching, but your life is already awkward! It will be no more awkward than the drive to the movie theater," he said, laughing. The film received raves out of the Sundance Film Festival, and is being released by distributor A24, the studio responsible for last year's "Lady Bird." Some people have even nicknamed his film "Baby Bird." "There's something important about saying she is worthy of the big screen," he said. "That a story this small is worthy of everyone's attention or is worthy of being on the same screen as World War II movies and big heroes are." And while the film's painfully authentic depiction of one of life's more awkward stages is why it's distinct from other coming-of-age tales, it also has a double-edged sword. Both the filmmaker and his young star have found that there is one group who isn't necessarily thrilled with the unglamorous portrayal: 8th graders themselves. It's just a little too close to home. "I think they're just being a little defensive because it is exactly like that for everyone," Fisher said, herself a recent graduate of 9th grade. "The film is for everyone but freshmen especially because you're just out of it but now you can reflect on it. I do that with every year of school anyway. It's like, 'Oh I'm so cool' and then I look back and I'm like, 'Oh I was NOT cool.'"